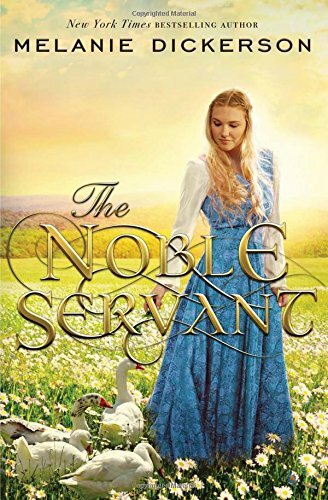 From New York Times bestselling author comes The Noble Servant! Our heroine, Magdalen, has a demanding and critical mother; there is no pleasing her. Fortunately, like Cinderella, Magdalen’s heart is filled with kindness and a desire to serve those for whom she cares. In return, she is loved universally by those she smiles upon. Additionally, like Cinderella, Magdalen does as she is asked by those who are cruel to her. Adding to the Cinderella archetype is that this noble servant is a Christian. Her faith adds depth to her servant's heart. While Cinderella’s hero and love interest is a prince, Magdalen’s is a Duke. Steffan is just as handsome and charming but far more confused about matters of the heart. He is adamantly avoiding true love as there have been devastating consequences brought about by deep and true love in his life. (I don’t want to spoil the story so you will need to read The Noble Servant to find out why). A Noble Servant is only a tiny bit of a Cinderella story. It is definitely a sweet romance with a medieval soul. A story filled with deceit, cruelty, mistaken identity, mystery, a treasure hunt, chivalry, kindness, standing up for those in need, and a growing understanding of the need to depend upon Christ. The Noble Servant is a quick and enjoyable read. I recommend it to everyone who loves a clean romance with a bit of mystery. I recommend without equivocation that The Noble Servant would be an excellent read for preteens on up to those of us with gray in our hair. Melanie Dickerson is a New York Times bestselling author and two-time Christy Award finalist. Her first book The Healer’s Apprentice won the National Readers’ Choice Award for Best First Book in 2010, and The Merchant’s Daughter won the 2012 Carol Award. Melanie spends her time writing stories at her home near Huntsville, Alabama, where she lives with her husband and two daughters.